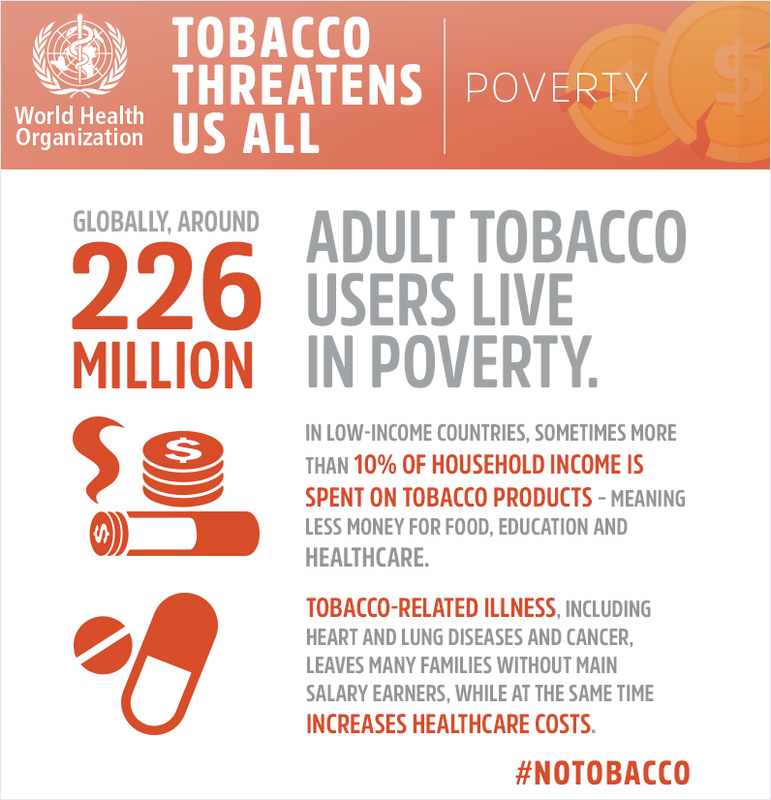 Every year, on 31 May, WHO and partners mark World No Tobacco Day (WNTD), highlighting the health risks associated with tobacco use and advocating for effective policies to reduce tobacco consumption. For World No Tobacco Day, 31 May 2016, WHO and the Secretariat of the WHO Framework Convention on Tobacco Control are calling countries to get ready for plain (standardized) packaging of tobacco products. Plain packaging is an important demand reduction measure that reduces the attractiveness of tobacco products, restricts use of tobacco packaging as a form of tobacco advertising and promotion, limits misleading packaging and labelling, and increases the effectiveness of health warnings. Guidelines to Articles 11 and 13 of the WHO Framework Convention on Tobacco Control (WHO FCTC) recommend that Parties consider adoption of plain packaging. Plain packaging builds upon other measures as part of a comprehensive multisectoral approach to tobacco control. Policy makers, civil society and the public can take action to ensure that their governments consider adoption of plain packaging. In December 2012, Australia became the first country to fully implement plain packaging. In 2015, Ireland, the United Kingdom of Great Britain and Northern Ireland and France all passed laws to implement plain packaging from May 2016. A number of countries are in advanced stages of considering adoption of plain packaging laws. For more information, including campaign videos, brochures, and posters, please visit http://www.who.int/campaigns/no-tobacco-day/2016/en.